We couldn't have asked for a better start to our move to Eyehorn Farm, Borden near Sittingboure at the beginning of the year by notching up 36 winners and 85 horses placed from 29 individual runners by the end of the year. Our horses, owners and staff have all appreciated the first class facilities offered by Eyehorne Farm. 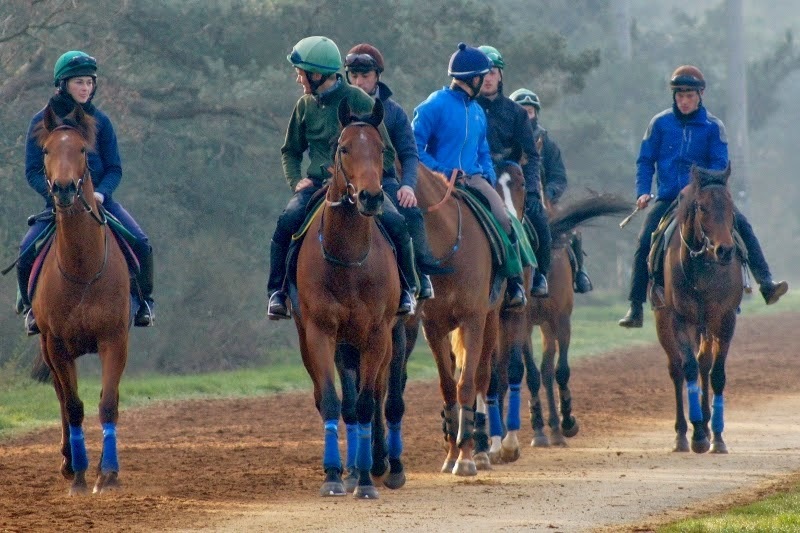 The round all weather gallops attached to the straight all weather gallops offers endless training possibilites with excellent, close up viewing for our owners and visitors. The horses have access to individual fenced paddocks, a solarium, horse walker, large airey boxes and a professional team dedicated to their well being. Whether just taking the opportunity for a chat with John over a coffee or attending an owner event, owners have taken advantage of their impressive Owners Lounge. The year started well with two wins in fairly quick succession for Fearless Lad who is owned by staunch supporters of the yard Bob and Jackie Jones. Our trip to White Turf in February was thoroughly enjoyed by some of our owners who hadn't experienced the "St Moritz" highlife before! Summer saw Stone of Folca's impressive Dash win being ratified by the Guinness Book of World Records where he is now recorded as the fastest 5f electronically timed horse. Our stallion Mullionmileanhour had his first 2yos on the track with Stuart Matheson's Pancake Day providing the sire's first winner. Our owner events included a well received yearling parade featuring many Mullionmileanhour offspring. We ended the year with a very special owner event - renowned horse whisperer Gary Witheford worked his magic starting our yearlings. John again sourced a number of quality youngsters for the 2013 season. We had plenty of promising performances from the 2yos with Ninety Minutes taking the accolade of our first 2yo winner! We've also campaigned a number of older horses who took owners into various winners enclosures throughout the UK. Our French breds took advantage of the 64% additional French premiums to boost their wins and placings in France. This year saw wins for many of our syndicate owned horses - Mossgo for Hucking Syndicate, Instrumentalist and Bahri Sheen for Kingsgate Racing Syndicate to name but a few as well as individual wins and places for many of our owners. 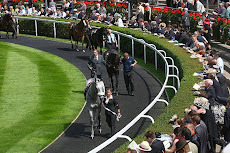 The most high profile win was produced by Folkestone Racecourse Owners Group's Stone of Folca who won the Investec Dash on Derby Day at Epsom in world record breaking time earning himself a place in the history books as well as featuring in Racing Post's top 10 highlights of 2012 alongside the great Frankel and Black Caviar. Our stallion Mullionmileanhour also had a productive year with his first offspring on the ground and they have been well received. This year saw our first real campaigns over in France with some lovely 2yo French breds. Not only did our owners have some fantastic days out racing across the channel but picked up decent prize money in the process. 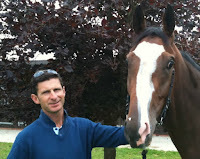 We had a busy 2011 with successes for our individual owners and syndicates. We travelled to St Moritz where our owners had an amazing time in the glamorous alpine resort and as a bonus their horses picked up decent prize money! 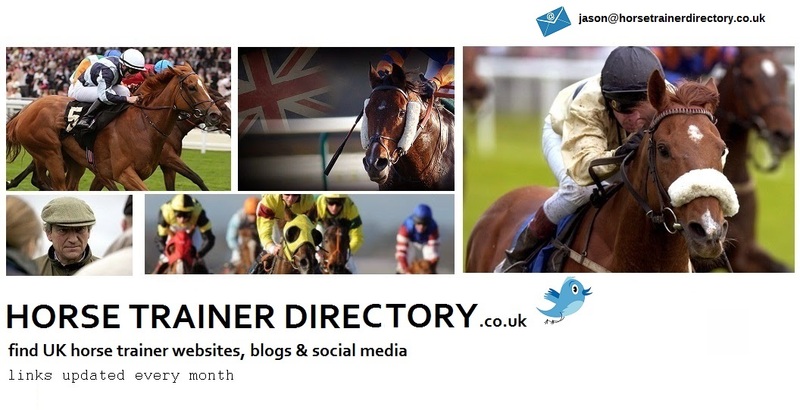 Our owners also enjoyed great day's racing at some of the top meetings on the racing calendar - Royal Ascot and Glorious Goodwood to name but two. Our 2 year olds performed well with plenty of trips into winners enclosures, some on their racecourse debut. We continued our fund raising for the Kent Air Ambulance Charity with a number of events including the chance to "Own a Racehorse for the Day" and we look forward to welcoming winner John Ralph and his guests early in 2012 for their VIP day. Sir Gerry's impressive performance on the opening night of the Dubai Carnival in January by winning the 6f Kayrawan Shadwell Farm Handicap got the year off to a great start. He later followed up by winning the Listed Cathedral Stakes in Salisbury. We had another successful Royal Ascot with Freeforaday placing in the Group 3 Jersey Stakes. The Folkestone Racecourse Owners Group colt Stone of Folca put in impressive performances in the Windsor Castle Listed race followed two days later by another fourth this time in the Group 2 Norfolk Stakes. Christopher Wren and One Good Emperor also put in solid performances at this prestigious event culminating in the sale of One Good Emperor to Hong Kong. Later in the year Christopher Wren was sold to J P McManus after a number of wins and a successful outing to the Ebor Festival. Stone of Folca followed up at Glorious Goodwood with a second in the Group 3 Molecomb. 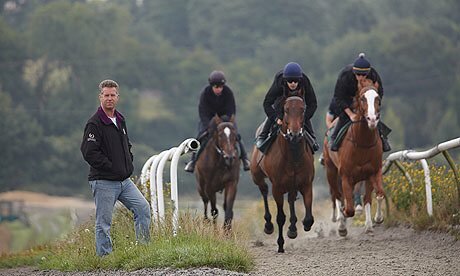 Now one of an elite group of flat trainers with a team of over 100 horses, John together with his skilled and dedicated team continue to build on last year's success. Deposer, part of the successful Kent Bloodstock syndicate was sold to Hong Kong after places in Group 1, 3 and Listed races in the UK and the USA. Owners have had memorable days out and a taste of some of the biggest race meetings in this country and abroad including Royal Ascot, Epsom Derby Festival, Ebor York Festival, Deauville August Festival and St Moritz. These years were dominated by the outstanding performances of Kingsgate Native who was subsequently sold to Cheveley Park Stud for a substantial amount. The highlights were his Royal Ascot and Group One success and the Windsor Castle win with Flashmans Papers. USA success followed later in 2008 with Square Eddie's winning performance in the GP Lanes End Futurity at Keeneland. 2006 proved to be John's most successful year so far, with a 250/1 treble in January, first and third places in the Spring Cup and a Listed winner – all at Lingfield Park. John won a further Listed race at Newbury with Kingsgate Prince, who went on to place in a Group Three at Royal Ascot, and who was then sold to race in Hong Kong for £260,000. Rising Cross won a Listed race, placed in two Classics – the English and Irish Oaks – and won a Group Two at York before being sold for £325,000. Towards the end of the year, John's exciting two-year-old colt Hurricane Spirit scored a Lingfield three-timer before scoring in a Conditions race at Kempton. In 2005, John Best trained one of the leading two-year-old fillies of the season in Rising Cross. She became John's first Group-placed horse, coming second to Nannina at Goodwood. John's success rapidly built momentum, and in 2004 he recorded two notable achievements – his first century of winners, and recognition as the leading Timeform up-and-coming trainer firmly establishing him as a leading UK trainer. Having begun his career riding and training point-to-point and hunter chasers, John Best was granted his first professional licence in 1997, and won his first race with Hever Golf Diamond in May of that year. He took out his flat racing licence in 1999, and once again his first victory came soon after, with Santiburi Girl turning over an odds-on favourite at Salisbury. Visit John Best Website Here.